Kuala Lumpur is a city of contrasts. Go there and find yourself in awe of architectural feats like the Petronas Towers. Walk some more and stumble upon stunning colonial buildings. Wander a bit further and end up in the middle of a rain forest. It's a place that keeps visitors curious, wondering what will be around the next corner. And like Kuala Lumpur's structure, the people of the city are just as diversified. One of the things I was most looking forward to in traveling to Malaysia was being submersed in multiculturalism. The country is often described in tourism ads as "the best of Asia in a nutshell." And it's true. Malaysia is home to large Indian and Chinese populations in addition to ethnic Malays, creating an atmosphere that's anything but boring. As soon as I arrived in KL, I headed to Petaling Street, the heart of Chinatown. It was a bit like I had expected it to be. Eager sellers displayed their wares and tantalizing aromas came from all sides of the path on which I walked. I caught bits of dialogue, the usual negotiations one might hear in any market anywhere in the world. But the vibe of the street was different. Here was a Chinatown that had been around a while. The storefronts were picturesque and small restaurants served up dishes that had been cooked the same way for multiple generations. I tasted a few different foods, all of which were fantastic, before heading back to my hotel to prepare for the next cultural day of my trip. 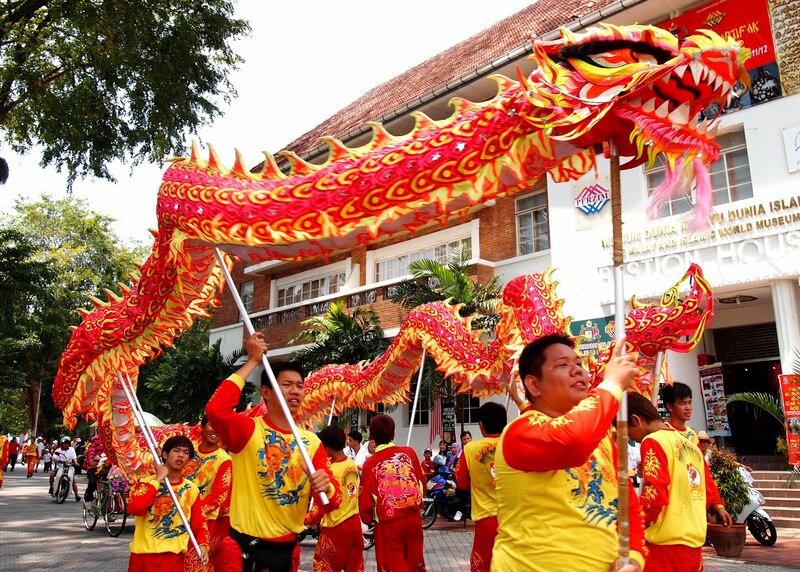 A parade in Malacca celebrates a Chinese holiday. I didn't get the chance to go to Bricksfields, KL's Little India, one of the pioneer settlements that is now home to a large Indian community. I did, however, get to go to Thaipusam, which I blogged about previously. Considering there were thousands of Indians there, I felt as if I weren't in Malaysia at all. I also took a cooking class at my hostel, the Reggae Mansion, in which an Indian gentleman instructed me how to cook various Malaysian dishes, including a fish curry and a mutton curry. I was surprised to see how strongly Indian ingredients influence Malaysian food until I realized that the country is in fact in the middle of the former spice trade route. 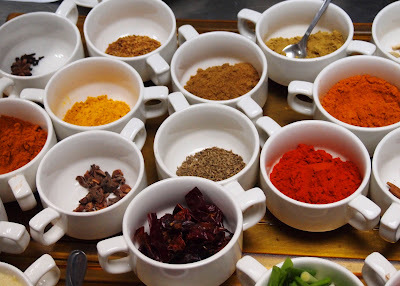 The spices used during our Malaysian cooking class are the same spices used in many types of Indian food. 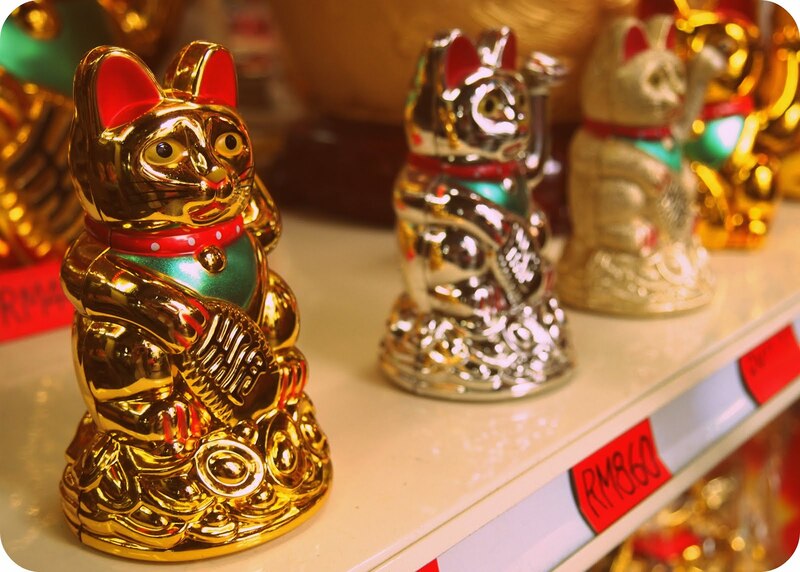 As I've been to quite a few Chinatowns in my time and I spent a summer in India, I was most interested in seeing the traditional Malay culture. There are still many indigenous groups and tribes-around 64 of them- living in the country, many of whom still follow traditional practices and customs. Unfortunately, since I didn't get to venture out into the villages and smaller towns of Malaysia, I didn't see too much of this. One thing that I was exposed to, however, was Islam. Growing up in the US, I was exposed to the ridiculousness that is the American media. News broadcasts and various TV shows often portrayed Islam as an evil religion whose followers are brain-washed and backward. Also, being from a small town, I never met any Muslims so it was difficult to have my own opinions. Of course, as I got older, I learned not to believe everything I saw on TV. Still, I didn't know what to expect when I learned that Malaysia is a predominately Muslim nation. One of the first things I noticed when I arrived in KL were the number of women wearing hijabs, the traditional head coverings worn by Muslim women and modest Muslim styles of dress in general. But, wait. These women were not just wearing a basic cut of fabric over their heads and shoulders. On closer observation, I noticed that many of the Muslim women were accessorizing their hijabs with strings of crystals hanging at the chin. I then started seeing others wearing sparkly broaches near the shoulder or large flower pendants by the forehead. I paid closer attention to stores and vendors selling hijabs and noticed mannequins advertising the latest trends. Back at the hotel, I curiously Googled "hijab fashion" to discover that there is an entire fashion sub-culture based on the hijab!! I was loving this. I should also mention another time I was walking around the Kuala Lumpur City Center, a huge mall home to any store you can imagine. I was in the Bobbi Brown makeup store and saw a woman dressed in an abaya, the traditional black dress that covers everything but the woman's eyes which is commonly worn in countries like Saudi Arabia and Iran. With her Louis Vuitton in hand, and her husband at her side, she looked closely at the various shades of eyeshadow and powders before making a big purchase. Imagining her decked out in vintage Chanel underneath that black fabric, I began to see that in actuality, there's very little difference between us women of the world. Our desires and interests and wants are, in fact, the same. Over the course of a few days, I visited some mosques. Before entering, I was kindly assisted in putting on the hijab and made small talk with the assistants. I was hesitant in admitting where I was from, as Muslims around the world know how they are portrayed in America, but I was honest (once) and was greeted as hospitably as I might be in the American South. I explored the Masjid Jamek, one of KL's oldest mosques which is built amongst palm trees and near the two rivers in which the city is named for. 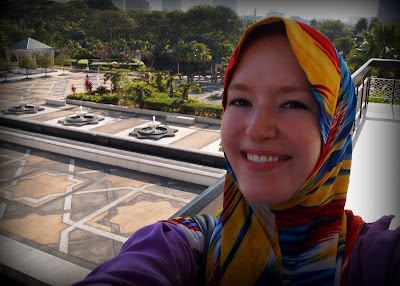 I also went to the Masjid Negara, a beautiful complex that can accommodate up to 15,000 worshipers. There, a kind older woman explained to me the history and basic tenants of Islam, as well as some of their customs, like ablution before prayer. Although only followers of Islam are allowed inside the prayer room, she explained everything about it to me from the outside. 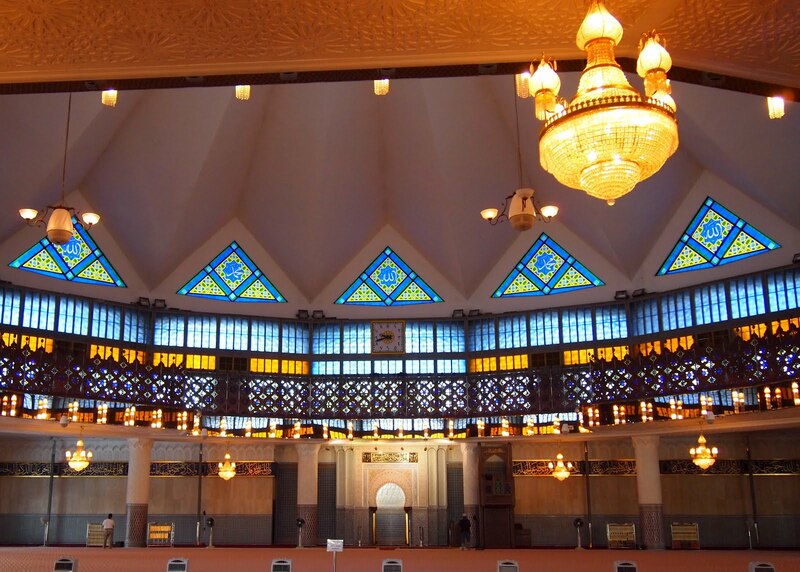 She pointed out the mihrab, an illuminated wall niche of every mosque that indicates the direction of the Kaaba in Mecca. Not once was she ever condescending or trying to convert me to Islam; her intentions were to simply show me the beauty of the mosque and share with me a bit about her religion. 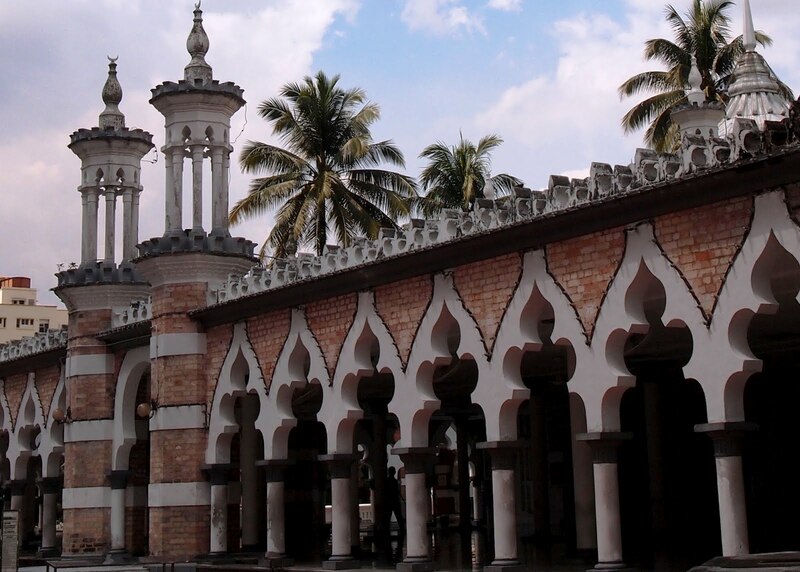 The Masjid Jamek is settled in a grove of palm trees in the center of the city. 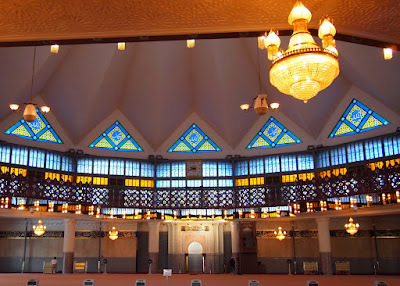 The Masjid Negara- or National Mosque- can accommodate up to 15,000 worshipers. I ended my trip at the Islamic Arts Museum, an impressive building showcasing an even more impressive collection of Islamic arts. 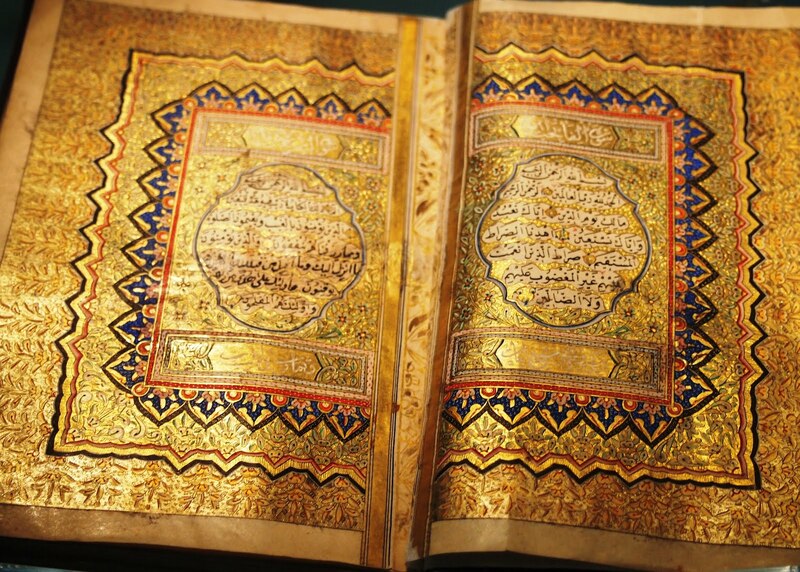 From intricately designed Qurans to beautiful traditional clothing to fascinating models of Islamic architecture throughout the world, I was able to see the artistic side of Islam. 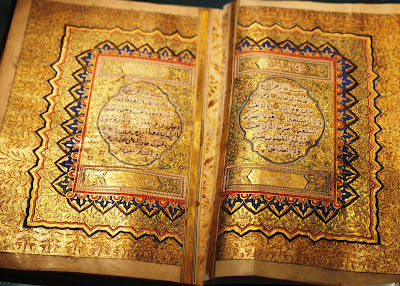 Qurans on display at the Islamic Arts Museum in KL. I was glad to be able to meet so many friendly, warm people during my trip in Malaysia. From the girls I oohed and aahed with over shoes to the people who went out of their way to help me find what I was looking for to some new friends I made over a shared love of 2PM and Korean dramas, I realized that people are just people. Religion and race don't matter. Unfortunately, not enough people in the world have the opportunity or the chance to realize that firsthand. 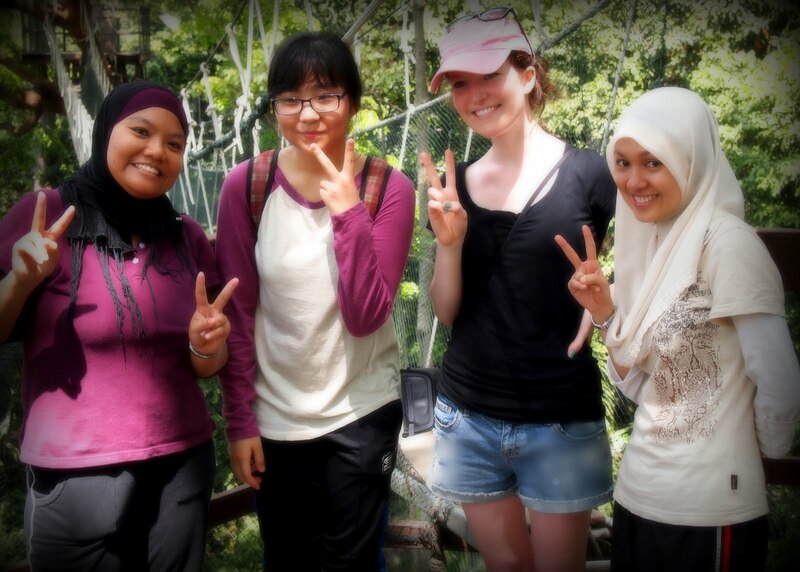 New friends I bonded with over a love of 2PM. Though there is some discrimination that exists in Malaysia, the country, in general, is quite accepting of other cultures. Its citizens seem to get along quite well despite their differences and I believe that is to be admired. It was a fantastic country that opened my eyes and my mind to a lot. Plus, I got to see three cultures in one. And, who doesn't love that kind of travel deal?